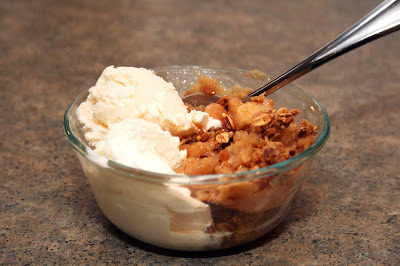 As promised, here is an new version of apple crisp to include GF oats. Apples, especially honey crisps, are one of my favorite things about fall. I get giddy towards the end of August just thinking about all the fall decorations, baking, and of course, honey crisps. So here we are in the middle of fall, and this is the second batch of apple crisp I've made now. The first was from a previous post, which involves baking. 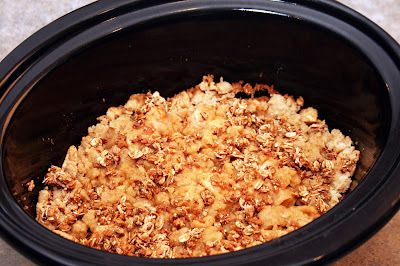 I decided to try something a little different with this batch by making the crisp in the crock-pot. My poor crock-pot just doesn't seem to get enough use, so I though I would remedy that starting now. I loved how easy this recipe was, and that my house smelled amazing with cinnamon-y apples for over two hours while it was cooking. My husband said that he liked this version just as much as the baked one = success. 1) Core and chop apples into slices, peel if desired. Spray 6-quart crock-pot with non-stick cooking spray. Place apples in pot and toss with lemon juice. 2) In a small bowl, combine 1/2 cup sugar, cornstarch, nutmeg, cloves, and cinnamon. Toss with apples. 3) In a separate bowl, combine flour, sugars and spices. Add melted butter and mix with fingers until coarse crumbs are made. Sprinkle on top of apples in crock-pot. 4) If desired, spread Kind Cinnamon Oat Cluster Granola on top of topping. 5) Place lid on crock-pot and cook on high for 2 hours or low for 4 hours. 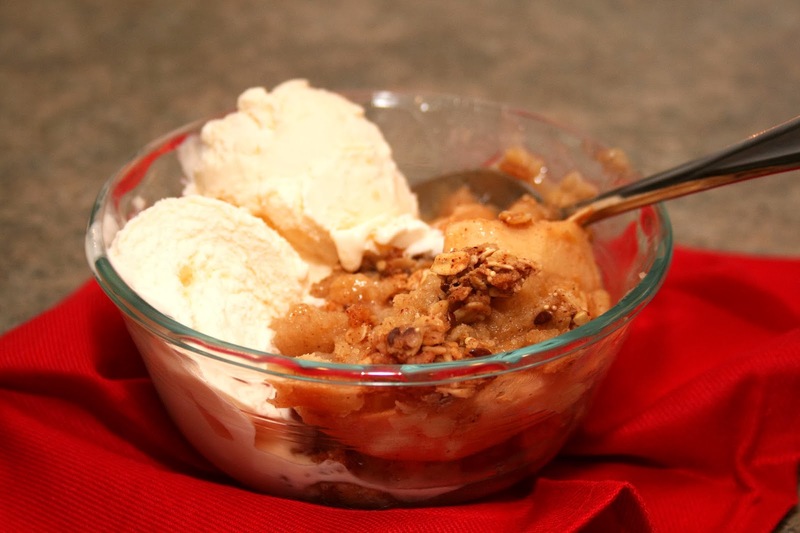 Once apples are tender, turn off heat, remove lid and let set for about an hour or until topping is crispy. 6) Serve warm with vanilla ice cream.